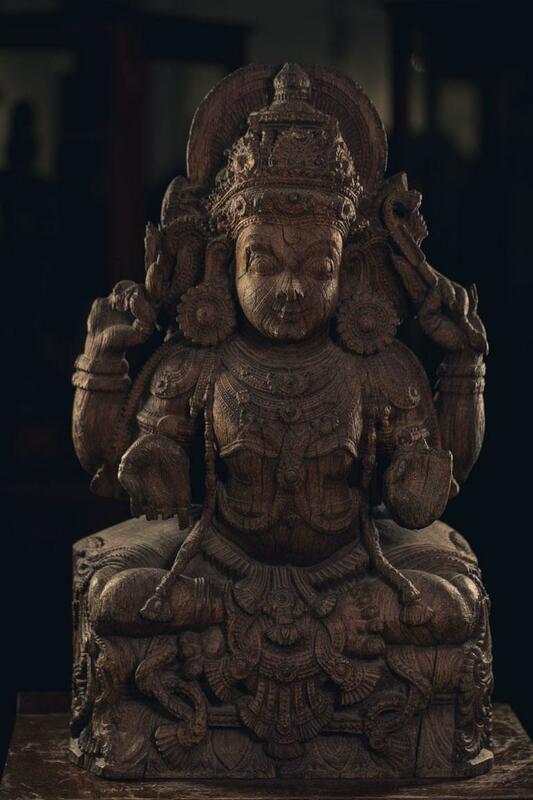 The wood carvings on display at the Museum are spectacular pieces of artworks. The figure of Manmata is one among them. According to Hindu mythology, Manmata is the God of Love. Mythology pictures him as a young, handsome man with green skin who wields a bow and arrows. His bow is made of sugarcane with a string of honeybees, and his arrows are bedecked with five kinds of fragrant flowers. The exhibit is a four-handed seated Manmata. The left upper hand carries a bow made of sugarcane and the lower hands are in abhaya and varada postures.